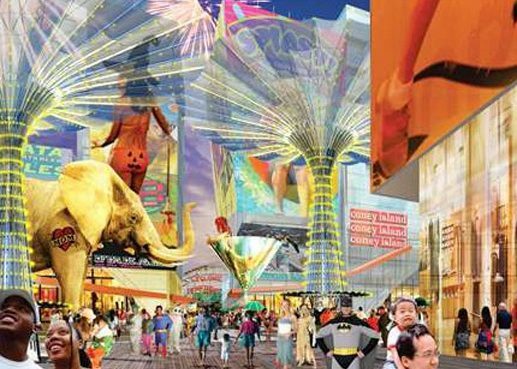 One of Thor Equities' renderings of its vision for a future Coney Island, complete with giant yellow elephant, reimagined parachute jump, and Batman. 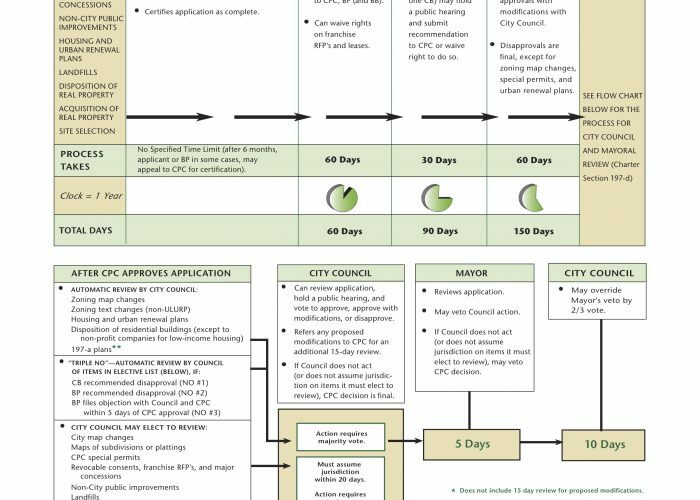 The city's Uniform Land Use Review Process, or ULURP: a simple diagram. 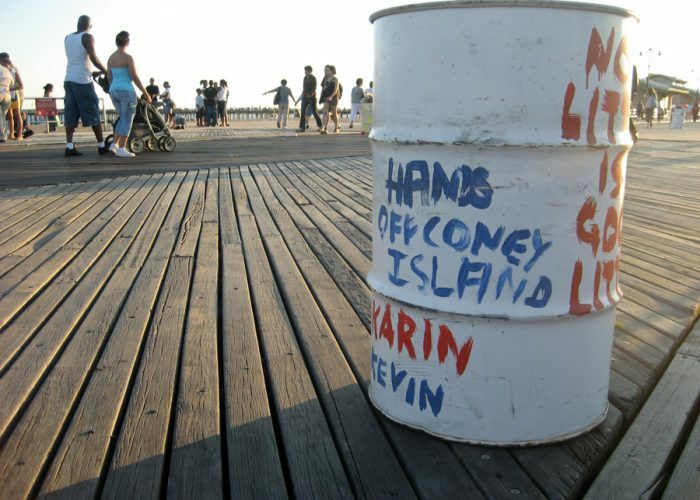 Coney Island's annual trash-can-painting contest generated some political statements from opponents of the planned redevelopment. 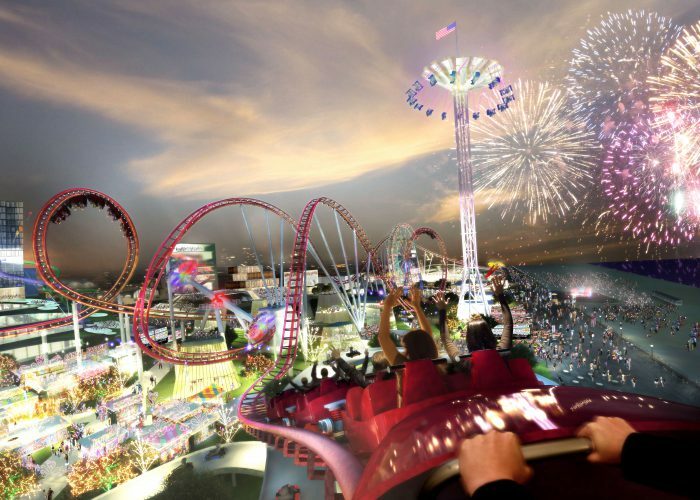 The Coney Island Development Corporation's vision for the amusement district earned its own points for grandiosity. 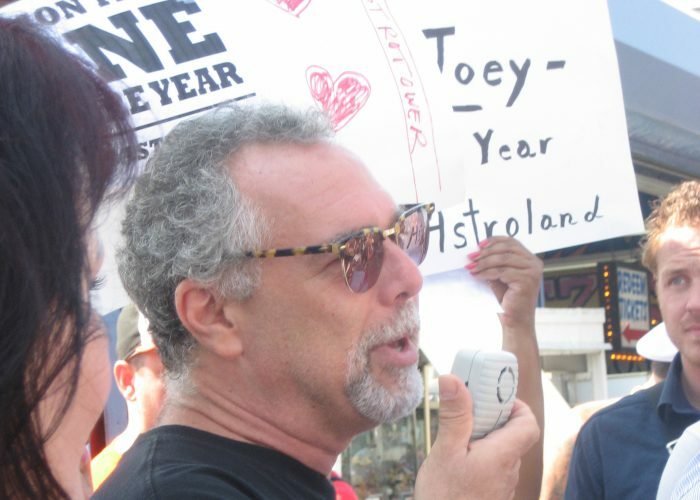 City councilmember Domenic Recchia speaking at Astroland's first "final day" in September 2007. 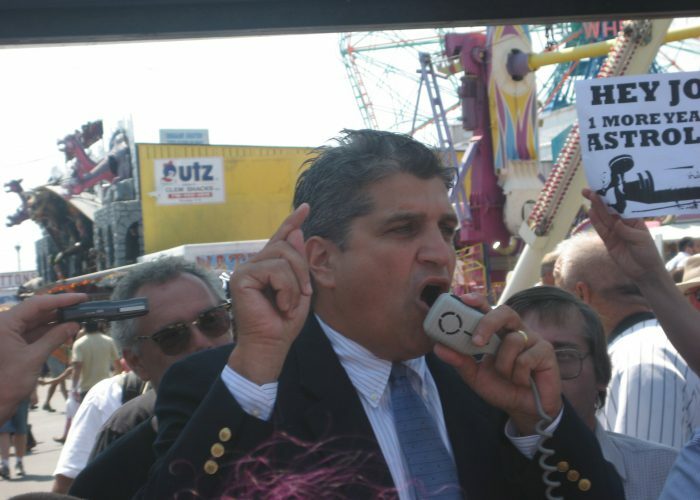 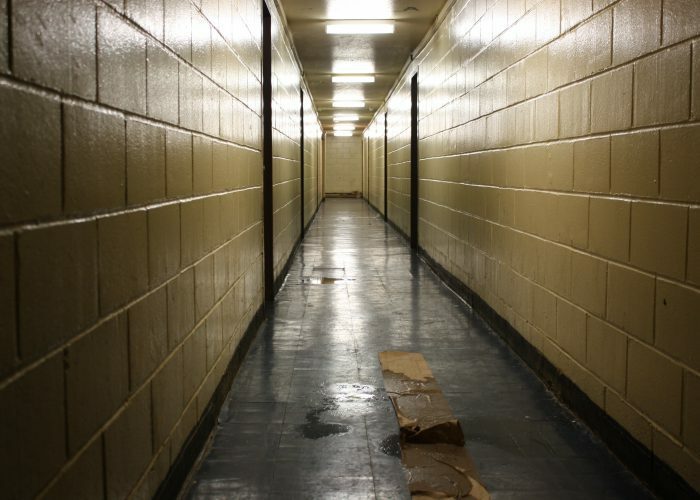 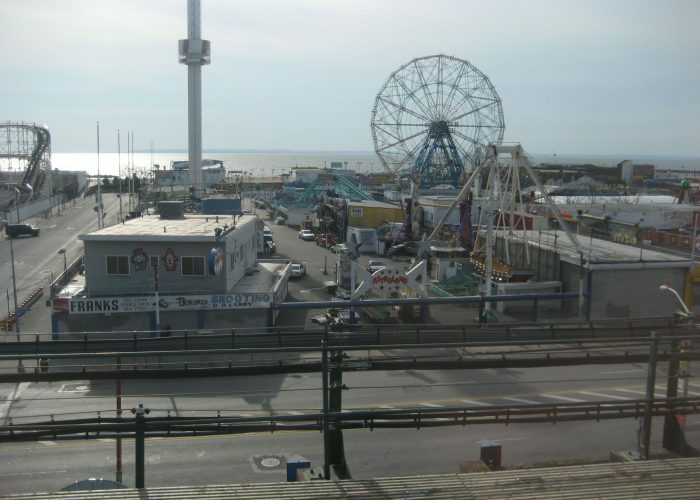 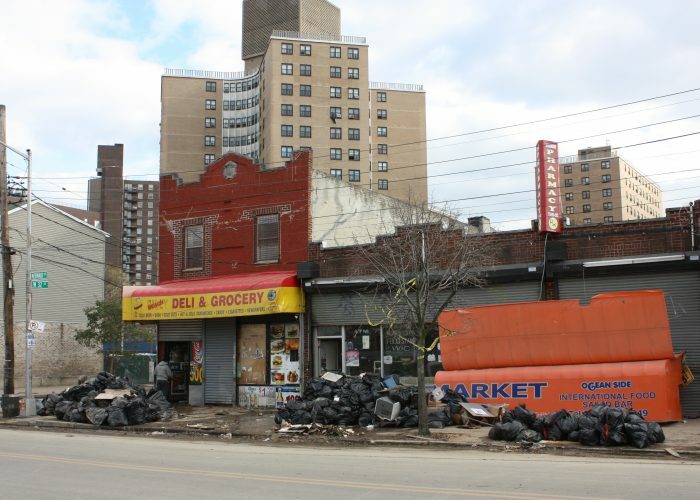 Recchia, an old friend of Thor Equities developer Joe Sitt, would later force the city council to back down on plans to ban highrises between Surf Avenue and the boardwalk. 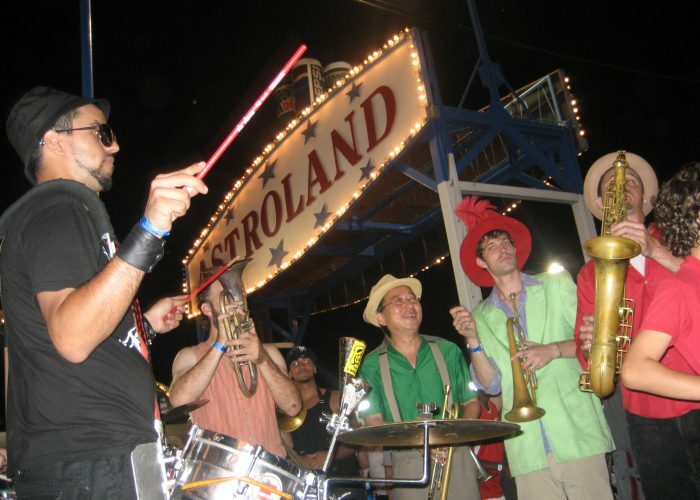 A band plays Astroland out into the night, September 2007. 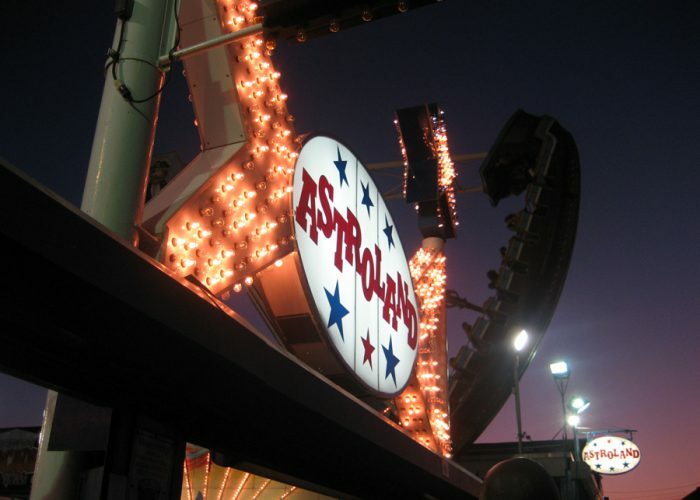 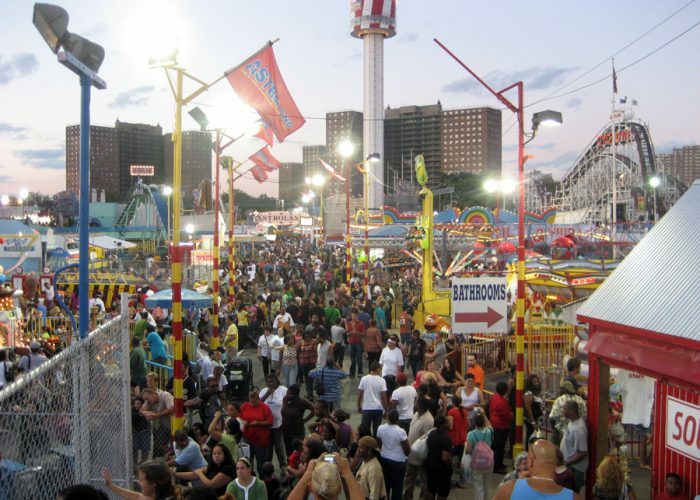 Astroland closes for good this time following Joe Sitt's refusal to grant a lease extension, September 2008. 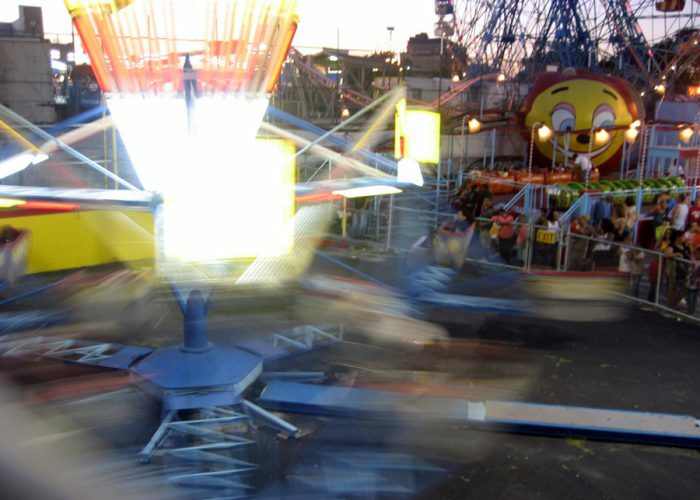 The Scrambler takes a final spin, Astroland, September 2008. 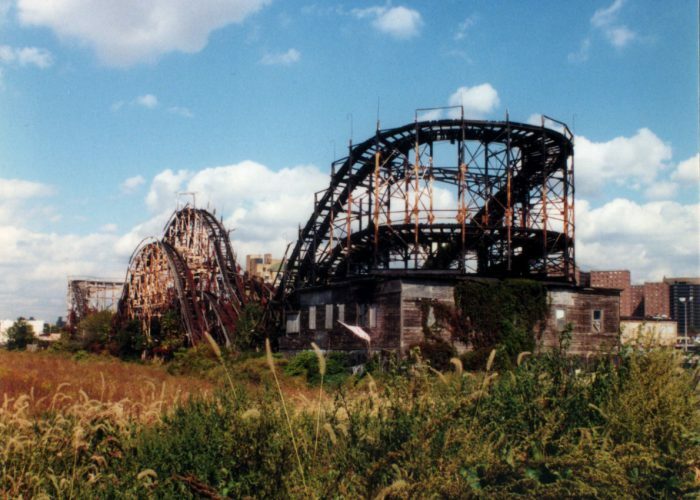 Astroland three months after its final closing in 2008. 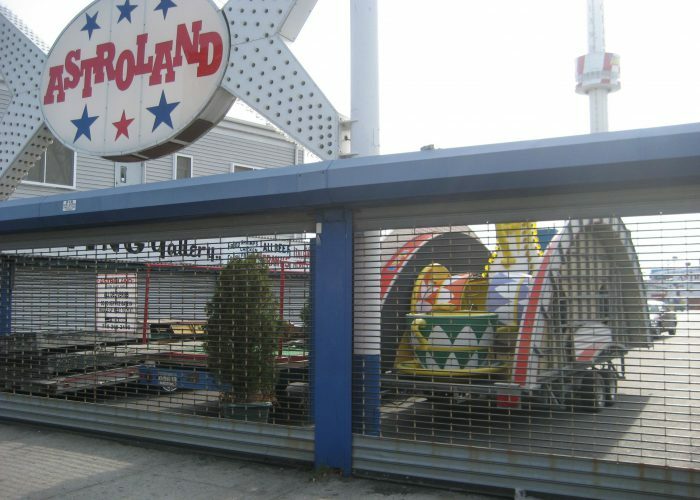 The Astroland teacup ride is packed up in preparation for sale and relocation. 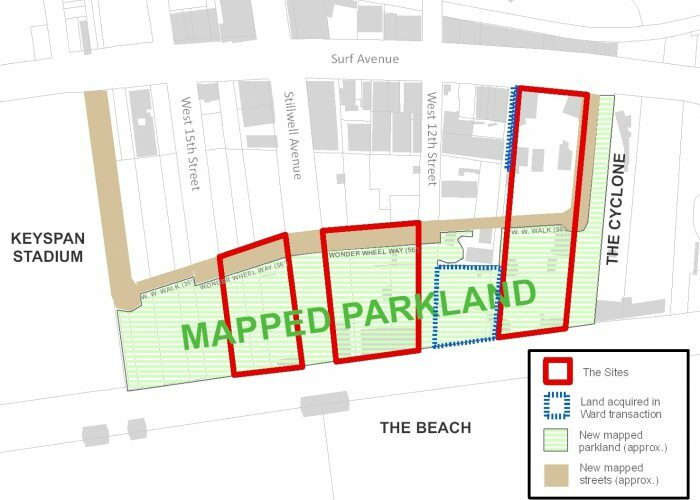 The city's scaled-back amusement district plans (in green) and the 6.9 acres of properties it paid Thor Equities $95 million to obtain, double what the developer had paid for it prior to the rezoning plans. 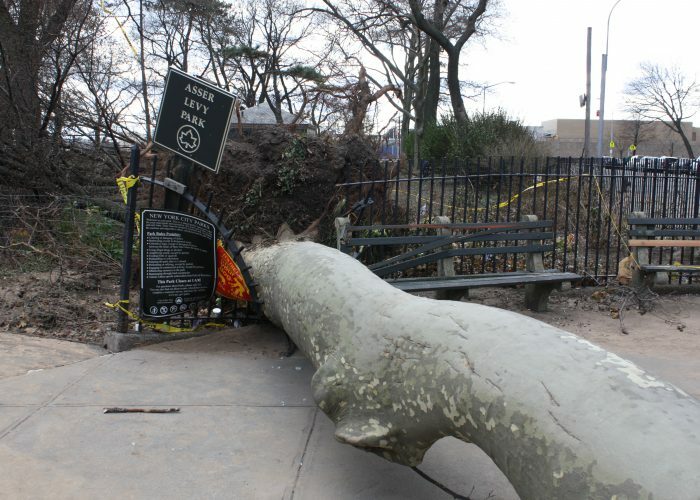 In October 2012, Hurricane Sandy toppled trees throughout the beachfront, especially in Coney Island's Asser Levy Park. 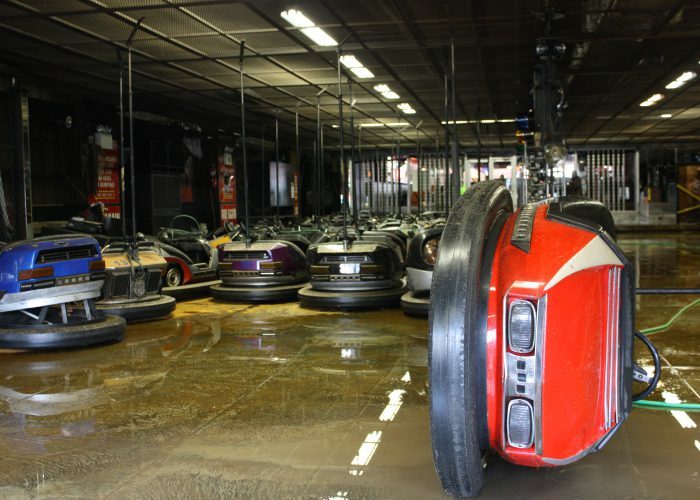 The Eldorado bumper car concession on Surf Avenue, after being inundated by Hurricane Sandy's storm surge. 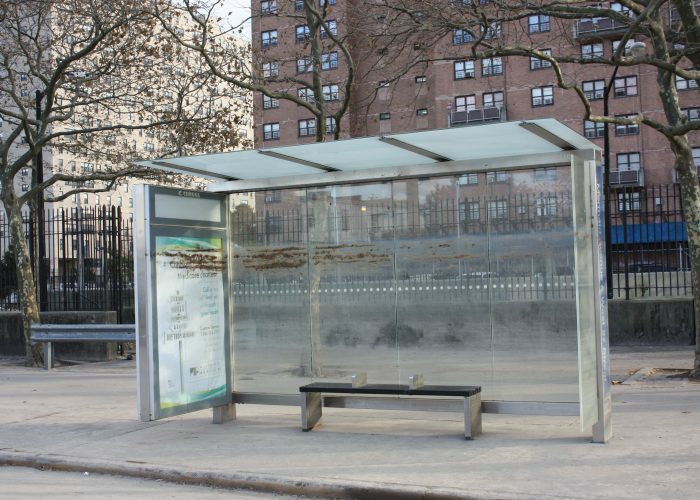 In Coney Island's residential West End, a bus shelter shows the high-water mark during Hurricane Sandy. 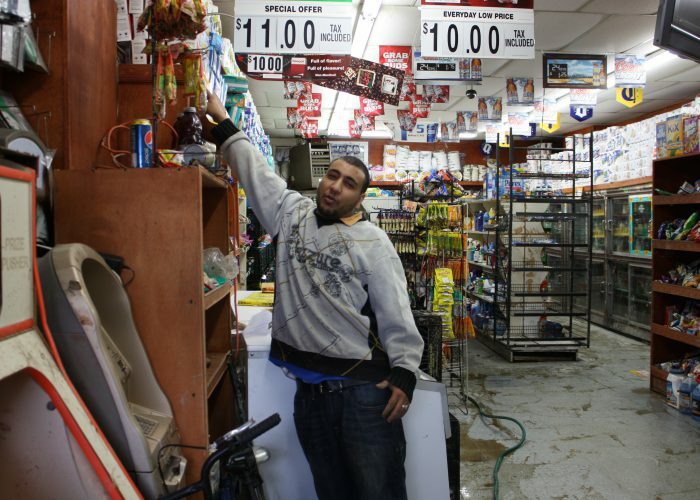 Mermaid Avenue store owner Yousef Alhamshali shows the height of the storm surge inside his corner grocery. 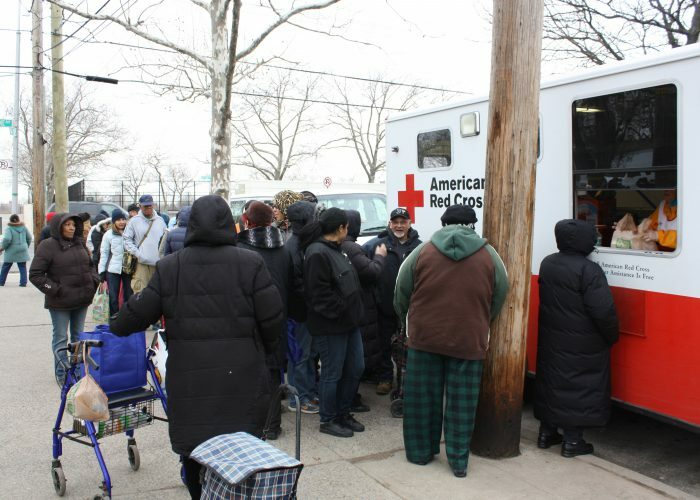 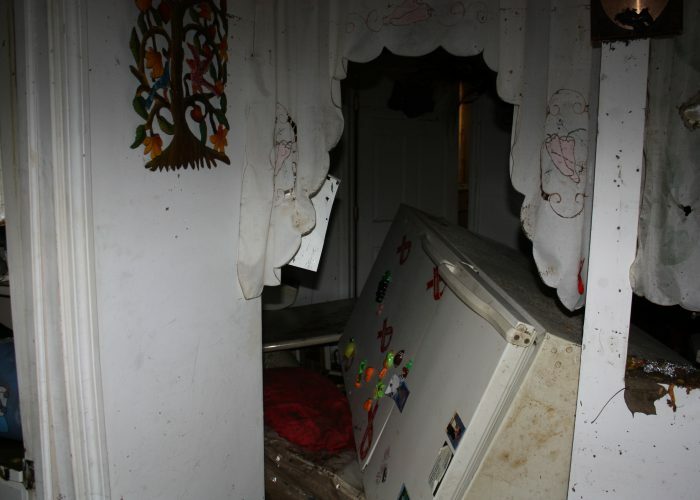 “We lost everything, simple and easy,” he said.